Hello all ghouls and goblins! I'm extremely excited for this next week. Why? Because it's Halloween, which is the best holiday of them all! Every time I say this I get expressions that denotes that I have been huffing too much glue or drinking too much Kool-Aid mixed with bathroom cleaners. I have some very legitimate reasons why Halloween is, by far, my favorite holiday. 1. For one day you can be whoever or whatever you want and have it be socially acceptable. Have you always dreamed of being a spy, a giant crayon, a dragon or all of the above? Do it! On Halloween you have full permission to don whatever getup you desire and be whoever you want to be in a way that, aside from various conventions, would normally be taboo. 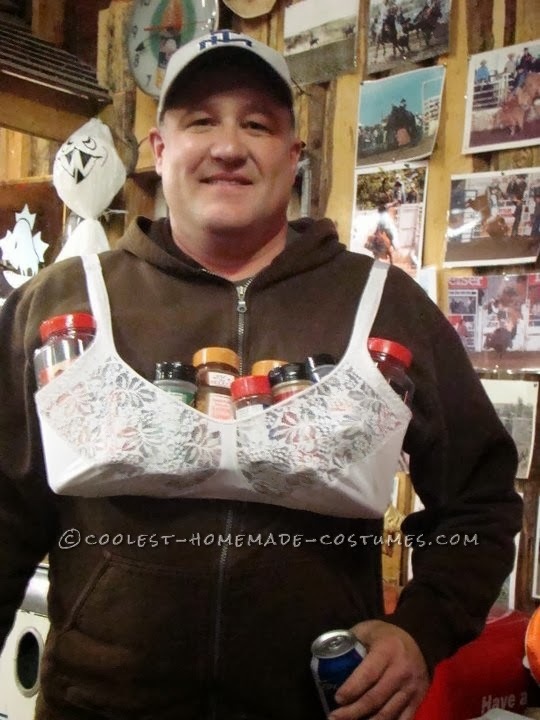 Need a costume idea? What about attempting this one? 2. 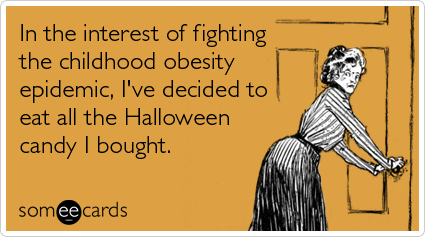 Halloween comes with very low stress or social pressure. Halloween can be as involved or uninvolved as you want it to be. Want to dress up and go to a midnight showing of "Rocky Horror Picture Show?" Go for it. Want to run around a haunted house? Scream on. 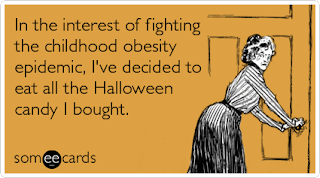 However, if you want to sit at home and pass out candy, that option is acceptable. Don't want to pass out candy? Then turn your porch light off and spend the evening watching campy horror movies in your boxers. 3. It is a holiday that, more than any other, showcases human creativity. 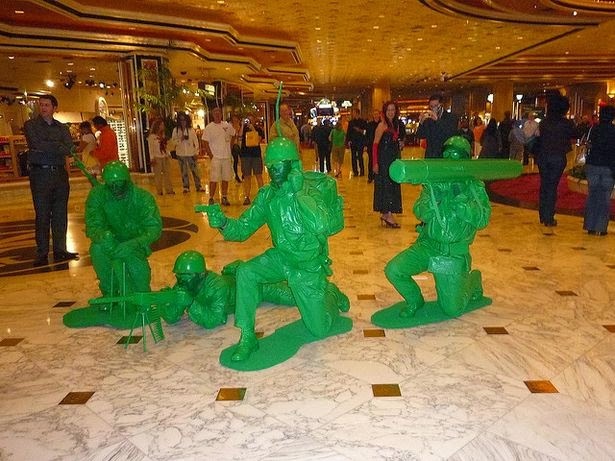 Some people are geniuses with their costumes. 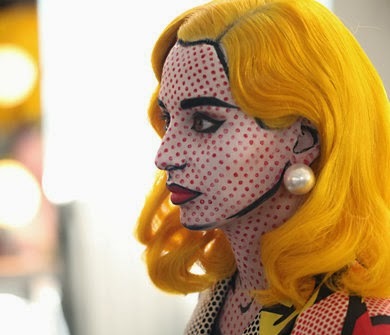 Can you imagine how much time it must have taken to do the make-up for this Roy Lichtenstein-esque costume? And this is probably the most make-up these guys will ever wear (and how did they get so shiny?). And probably my favorite visual pun costume, the human spice rack. I don't care how much time you spend trimming your Christmas tree or making that centerpiece for your Thanksgiving table, Halloween brings out the best (and sometimes, admittedly, the worst) in human creativity. 5. Halloween provides a legitimate reason to watch endless amounts of zombie films. Seriously, what other time of year can you tell your coworkers that you plan on watching "Zombieland," "Dawn of the Dead," "Shaun of the Dead," "Resident Evil" and "Night of the Living Dead" in one day without them giving you concerned looks and wondering if they need to refer you to a mental health professional? I hope everyone has a fantastic Halloween! Let me know what your favorite part of Halloween is! 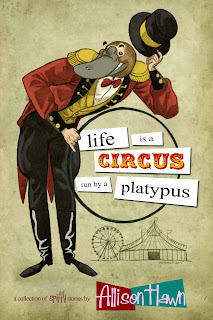 Remember, if you ever need a little extra adventure in your day feel free to follow me on Facebook, Twitter and Goodreads. How's That Working For Ya?